(2009/POLYDOR) 14x14x14 Cardboard Box contains 4 original albums: Black & Blue, It's Only Rock & Roll, Sticky Fingers & Goats Head Soup. Pappschuber als Sammelbox für 14 CDs. 01 Dancing With Mr. D.
The Rolling Stones came shortly after the Beatles, although they had been around for some time. They always stayed in second place behind the Beatles, the well-behaved, well-behaved boys next door, as their exact counterparts. They were always controversial. Scandals pave their way. Drug and excesses, wild fights and legendary orgies characterize Mick Jagger, Keith Richard, Charlie Watts and Bill Wyman - to some extent also Mick Taylor, who took his place after the death of Brian Jones and only recently retired. Musically, the Rolling Stones come from the blues and a little bit from jazz, but they added rock elements early on. Their music has always been rough and hard. But the Rolling Stones never became as style-blind as the Beatles were, on the contrary, they let themselves be influenced by the boys. When they turned the pop world upside down with their soft number "Yesterday", the Rolling Stones followed suit in a flash. When the Beatles said "All You Need Is Love', Mick Jagger sang sweetly in the ear of his fans "We love You'. After the Beatles split up, the Rolling Stones finally took control of the rock paradise. 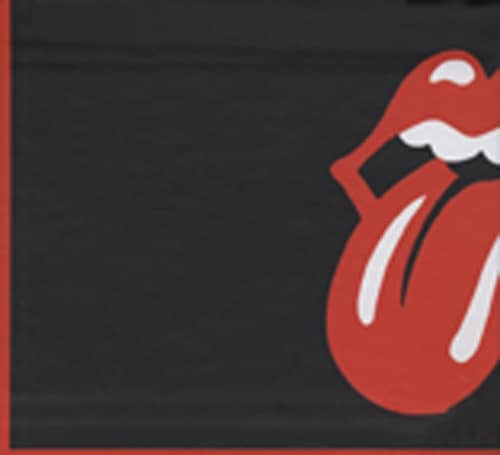 In 1975 the Rolling Stones embarked on their eighth tour of the USA - the first since 1972 - starting in Baton Rouge, passing Jacksonville on August 2 and continuing to Mexico, Brazil, Venezuela, where the mammoth tour ended in Caracas on August 31. 95% of the available tickets (1.5 million) were sold in 8 hours. Customer evaluation for "Collector's Box-Set (4-CD Cube - Würfel)"